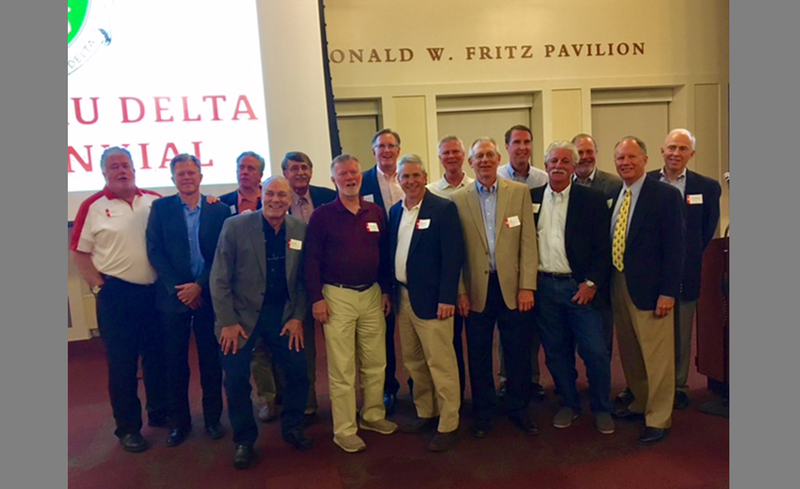 There’s no doubt that Dave Gibbons ’77 has been successful in his career—and he, in turn, has no doubt about the tremendous impact his Miami and Delta Tau Delta years had on that success. There are certain things you learn from fraternity life, like how to get along with people who have different backgrounds and viewpoints. Those interpersonal skills have served Dave well in his sales and marketing career. 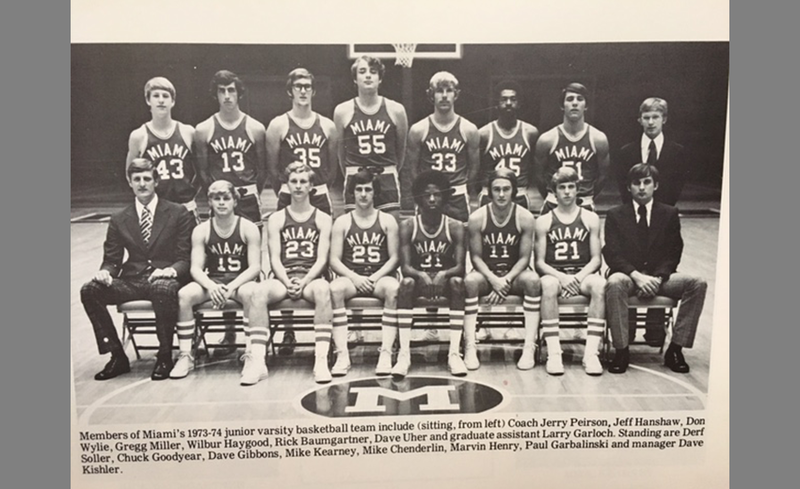 Dave spent the first 14 years of his career at Wilson Sporting Goods, moving from ​U.S. ​Sales​ roles​ to ​global ​marketing ​positions ​and finally ​into a general management capacity running Latin America and Asia Pacific. But aside from the career skills, Dave also gained a solid group of friends he can still count on. 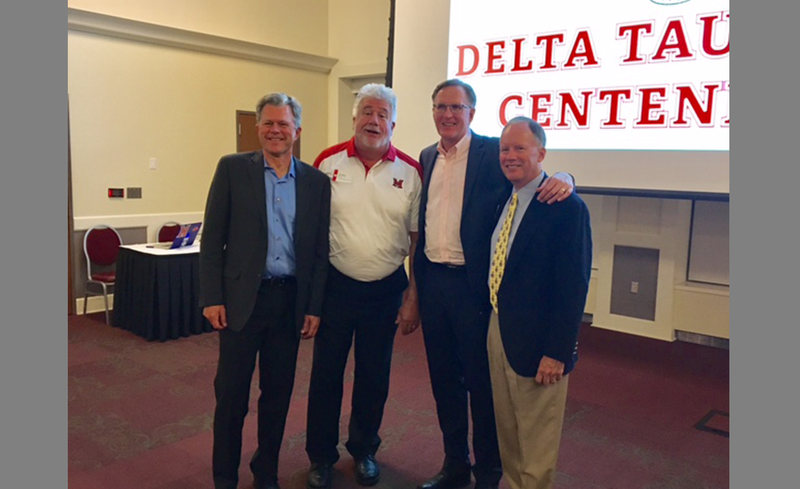 In fact, Dave attended the centennial event this past fall and was thrilled to catch up with his brothers—even some he hadn’t seen since college. 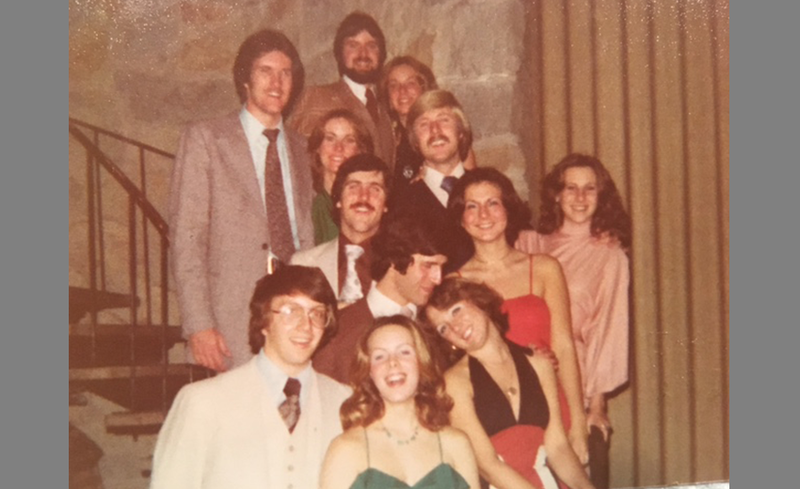 The centennial also marked the 40th anniversary of the year Dave and his wife met at the Delt house. 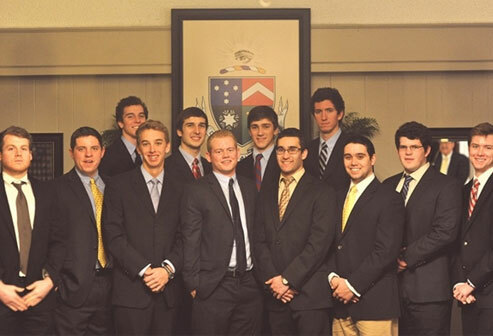 Today, Dave tries to attend some Delt social events in Chicago. “And there’s always a chance to reconnect when Northwestern plays Miami,” he says. In addition, when he’s back in his hometown of ​Cleveland, he often plays golf with brothers. But perhaps his most meaningful recent connection with an alum was just last year. That memory will stick with Dave, along with so many others from his Delt years. Today, he’s pretty busy as the VP of Strategic Business Development for The Swanson Group, helping consumer product companies find success. ​In addition to spending time with his two kids in Chicago, he’s also experiencing the newfound joy of being a grandparent. He and his wife occasionally make it out to Portland, Oregon where his son (Jim) and his wife (Katie) and their baby (Ollie) reside. Want to get in touch with him? You can reach him at gibbonsdave1 at gmail.com.